Environmental and economic issues have so far dominated New York's discussion of high-volume hydraulic fracturing. But there are other issues to consider if state officials decide to green-light fracking, including the complex question of insurance. The State Assembly's Insurance Committee has been studying the implications of fracking on homeowner, mortgage, and title insurance policies for about a year, says Assembly member Joe Morelle, who chairs the committee. The informal work has included conversations with people in the insurance, banking, and legal professions, Morelle says. And he says he plans to convene a roundtable discussion in December with Assembly members, attorneys, and banking and insurance industry representatives. It will be held in New York City. 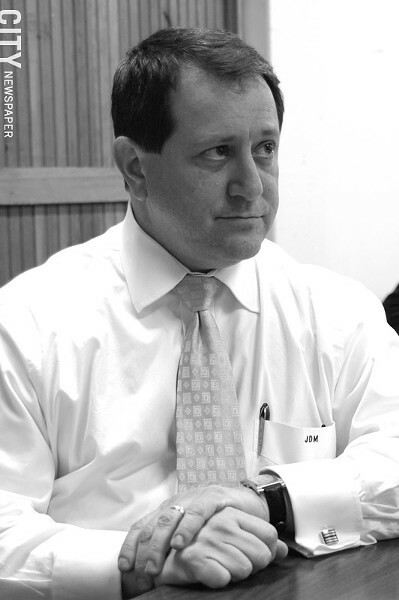 Morelle says he sees many questions and few definitive answers around the insurance question. Liability is one key issue, he says. If a homeowner leases land to a drilling company and there's an accident, would the insurance company cover the damages or is the property owner responsible? In July, Nationwide Mutual Insurance Company issued a statement clarifying that its policies have never covered homeowner losses related to gas or oil drilling. "From an underwriting standpoint, we do not have a comfort level with the unique risks associated with the fracking process to provide coverage at a reasonable price," the statement said. Morelle says he also wants to clarify whether homeowners could potentially invalidate their policies by signing gas leases. And could that be avoided by informing insurance companies so they can adequately calculate their risk? "I'm sure most of this can be worked out," he says. Morelle says he's also asked the Assembly Banking Committee to look at fracking-related issues. Among them: whether homeowners could violate their mortgage terms if they sign gas leases. Mortgages may have stipulations prohibiting certain uses on a property, he says.